A Model X owned by James McDermott, with unknown attendees in the parking lot. 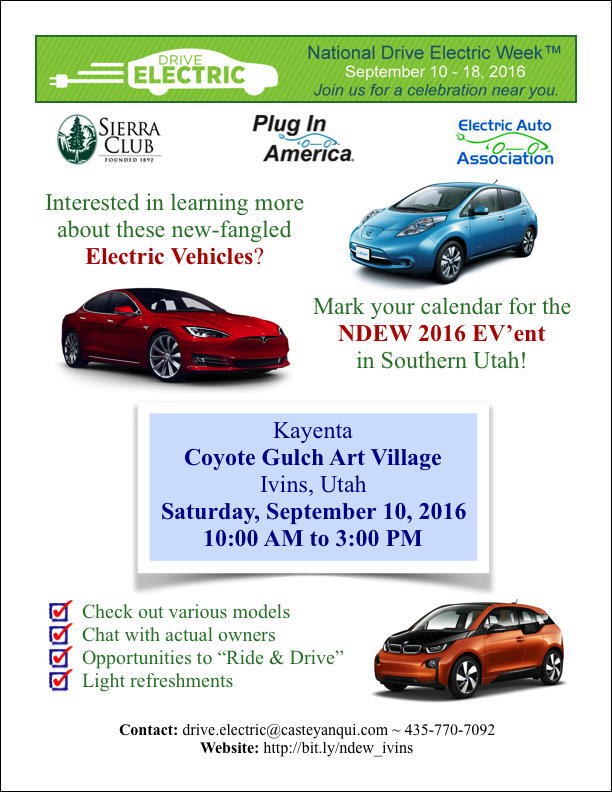 The first National Drive Electric Week EV'ent in Southern Utah will take place at the Kayenta Coyote Gulch Art Village, which boasts numerous studios, gift shops, and a cafe. 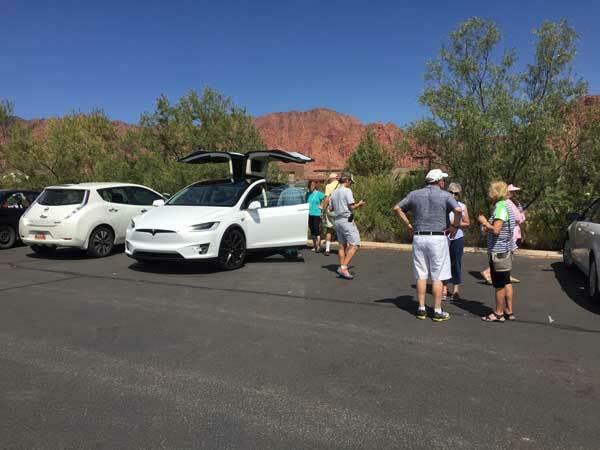 There will be several plug-in vehicles for attendees to examine while they chat with their owners to learn more about the joys and benefits of driving on electricity. The celebration will include informational displays, provide refreshments and souvenirs, and coordinate Ride & Drive opportunities. Registered attendees report 115,140 electric miles driven.